Fred. Olsen Cruise Lines has scooped the title of ‘Best for Solo Travellers’ at the prestigious ‘Wave Awards 2018’, held at The De Vere Connaught Rooms, London on the evening of 1st March 2018 – the first time that the Awards have acknowledged this important cruise category. Fred. 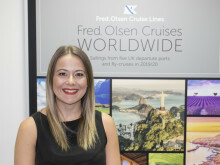 Olsen triumphed in this year’s inaugural ‘Best for Solo Travellers’ category, beating off stiff competition from Crystal Cruises, Hebridean Island Cruises, Uniworld Boutique River Cruise Collection and Voyages to Antiquity. 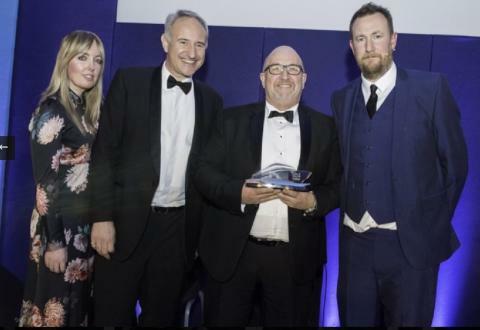 The award was voted for by Real Response Media’s team of knowledgeable industry experts, based on the cruise lines that they feel have excelled and gone ‘above and beyond’ in the experience that they offer to their solo guests. “‘The Wave Awards’ is voted for by both the trade and the public, so winners truly are the best of the best! Congratulations to Fred. Olsen Cruise Lines on this well-deserved award. “We would like to thank everyone who voted for us and recognised our commitment to our solo guests with this first-ever awarding of ‘Best for Solo Travellers’. “We believe that we offer an unrivalled experience to our solo guests, and we do all that we can – both during the booking process and on board our ships – to make the experience for solos as stress-free, friendly and welcoming as possible. This significant accolade builds upon Fred. Olsen’s recent success in the Cruise Critic ‘UK Editors’ Picks Awards 2017’, where the cruise line was also acknowledged as ‘Best for Solo Travellers’ – similarly the first time that the world-leading independent cruise review website has run this dedicated category. The relatively small size of Fred. Olsen’s four ocean ships – Balmoral, Braemar, Boudicca and Black Watch – along with new river cruise addition, Brabant – and the warm, relaxed atmosphere on board make Fred. Olsen cruises especially attractive for those travelling solo. Once on board a Fred. Olsen ship, solo travellers will find gatherings exclusively for them, to enable them to get to know each other, and staff will seat them together for dinner, and arrange companions when going ashore, if required. There are also dance hosts and dance couples on board the ships to provide dancing partners for solo guests. Fred. Olsen has a number of room options available on each of its four ships, covering all grades, from ‘Single Interior’ and ‘Single Ocean View’, to ‘Single Balcony Suites’. With 10% of all rooms in the Fred. Olsen fleet being dedicated to solo travellers, it has one of the highest proportions of dedicated accommodation for solos within the industry. Overall, the Fred. Olsen fleet has 190 dedicated rooms for solo guests: Braemar offers 40, Black Watch and Boudicca each have 43, and Balmoral has 64.